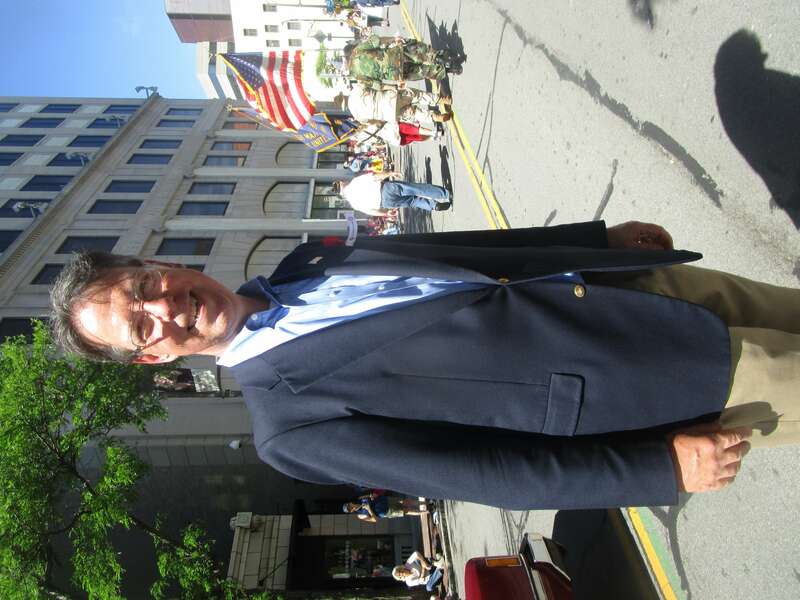 On a day blessed by the sun gods, the Memorial Day Parade was picture perfect for photo ops and name dropping. And our Town Supervisor William Moehle (think of the diversity of Brighton) walking tall ahead of the Jewish War Veteran marchers. And along the crowded way, schmoozing with Janet Lomax, last seen at the Memorial Art Gallery. And, like the Trumprenuers at the airport, no parade is complete without vendors. Stopping at Mike Russo’s stand was Malik Muhammad. Making its public debut, Malik is sitting on his new trike from R Community Bikes. 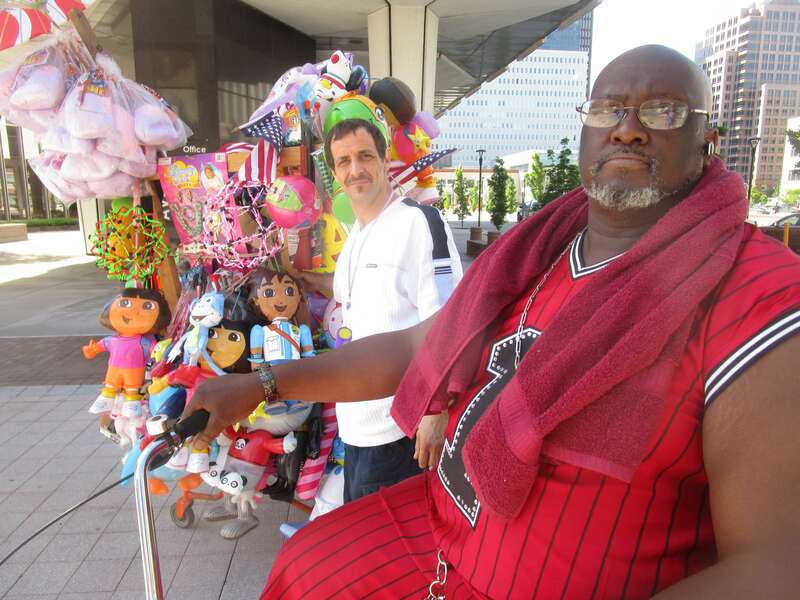 Malik says the trikes’ name is to be determined. From Albany, Mike has sold his wares about 4 or 5 times at the Rochester parade, saying it’s the best one in Upstate New York. 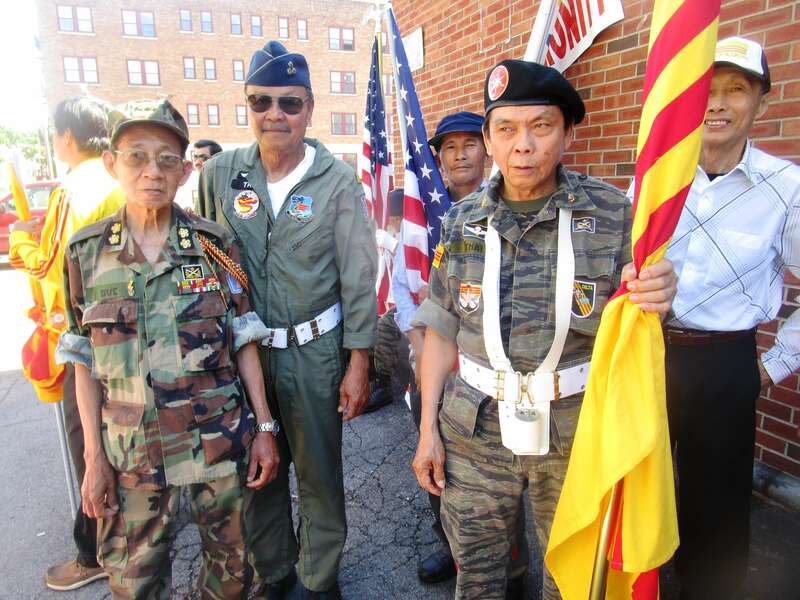 I especially came to see the Rochester and Buffalo veterans of the Army of the Republic of Vietnam (1955 – 1975). After the RPL’s Stephen Nash educated us on the important work done at the Vietnam Learning Center, and befriending the Vietnamese tennis players at Cobb’s Hill, and learning much from David Dornford on Veteran’s Day, I wanted to meet these veterans from a war ended and an army disbanded over 40 years ago. 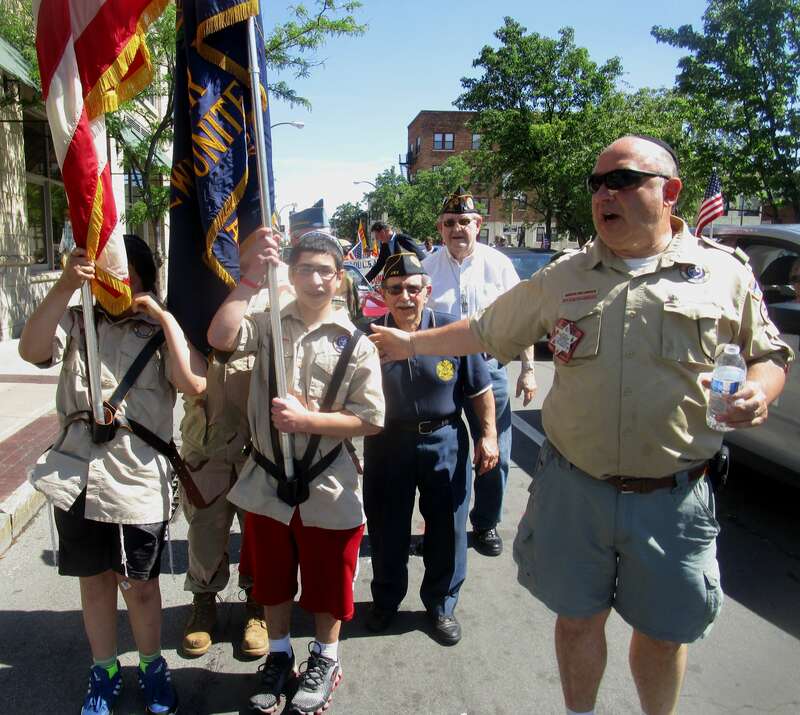 A member of the Vietnam Veterans for Peace, David’s mission is to actively engage with all veterans, individually and in veteran’s groups. David believes that sharing stories is one path of healing and the way to build sympathetic understandings of each other’s experience. At Highland Park was David. 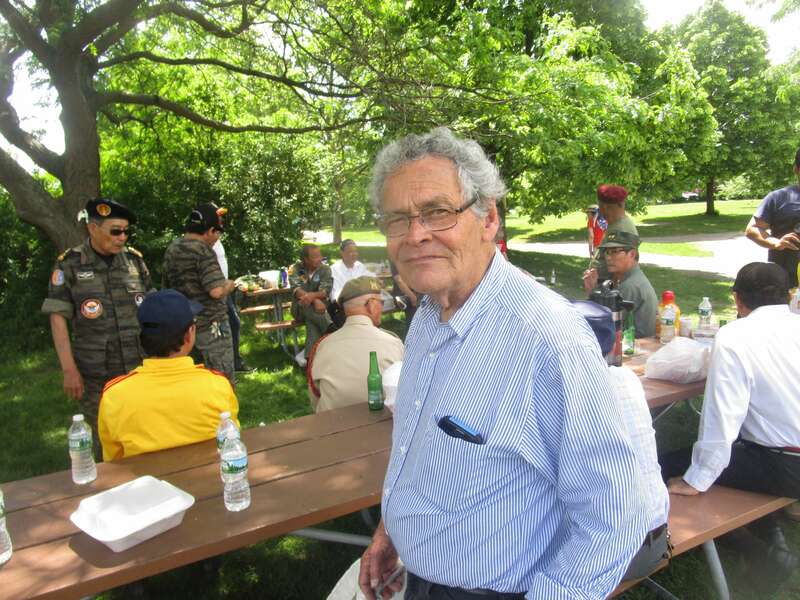 He introduced me to a group of about 30 South Vietnamese veterans, families and friends enjoying a picnic. 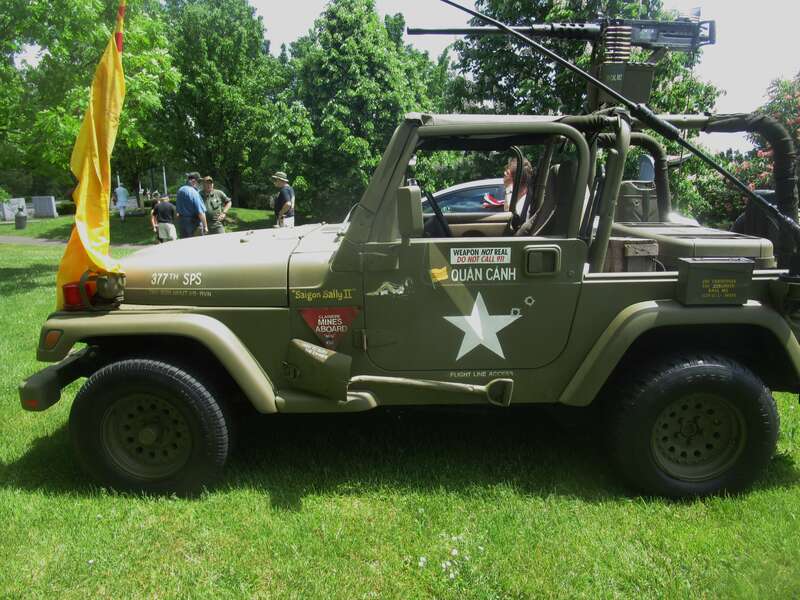 Like other veterans, they had attended the Memorial Day gathering and ceremony at the Vietnam Veteran’s Memorial. 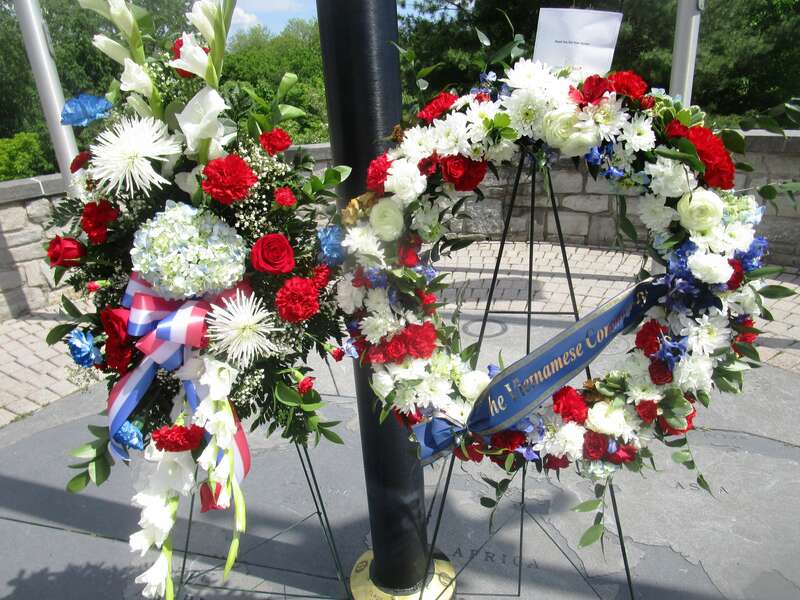 The Vietnamese-American community had placed a wreath of flowers underneath the flags at the top of the steps. 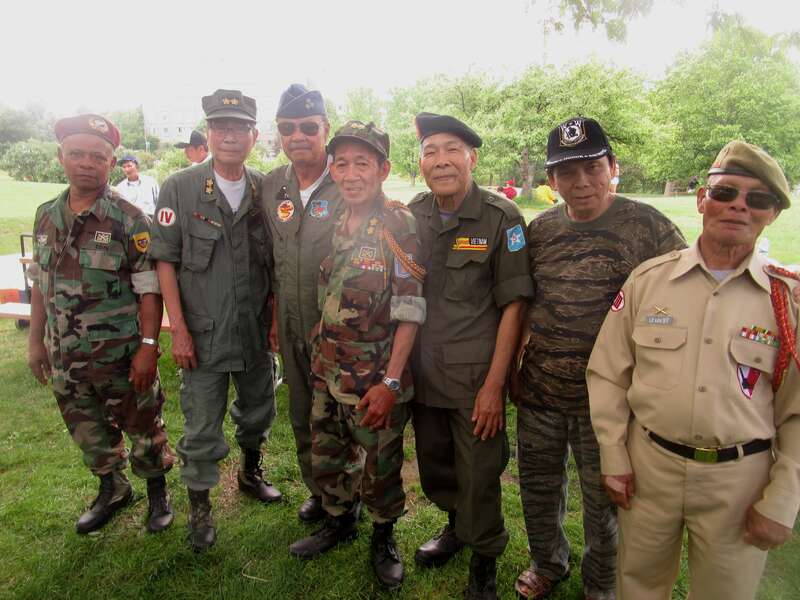 From Rochester and Buffalo, the men wear their ARVN uniforms three times a year: Veteran’s Day, Memorial Day and April 30th on the anniversary of the fall of Saigon — and hold their annual picnic in Highland Park. I asked them what people think when they see veterans from a disbanded army marching in a parade. Most people are surprised, not realizing the group even existed. Mostly people think they are U.S. army veterans. The men, who came to U.S. between 1975 and 1991, explained very few Americans know much at all about the Vietnam War. 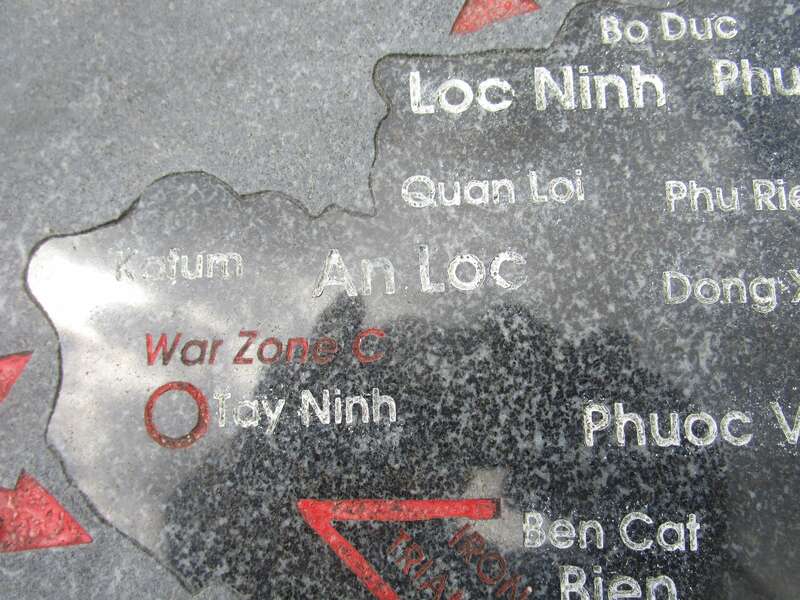 They have a hard time remembering its dates, where exactly Vietnam is, or even who fought, or why. Communism or the Domino Theory seem eons ago. People’s ignorance doesn’t really bother the men — it was over 40 years ago — but they do take it upon themselves to teach their children and grandchildren what happened. 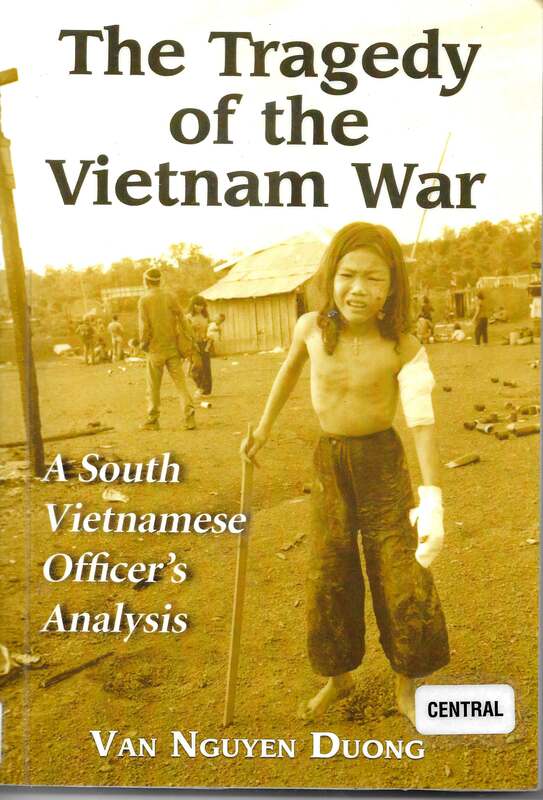 Trin and Tran talked a little about the war itself as I showed pictures from the Tragedy of the Vietnam War by Van Nguyen Duong. Trin — who flew cargo missions into An-Loc City — says no one will forget the battles fought between the ARNV 3rd Ranger Group and the Vietcong at An-Loc, simply described by Trin in one word: hell. 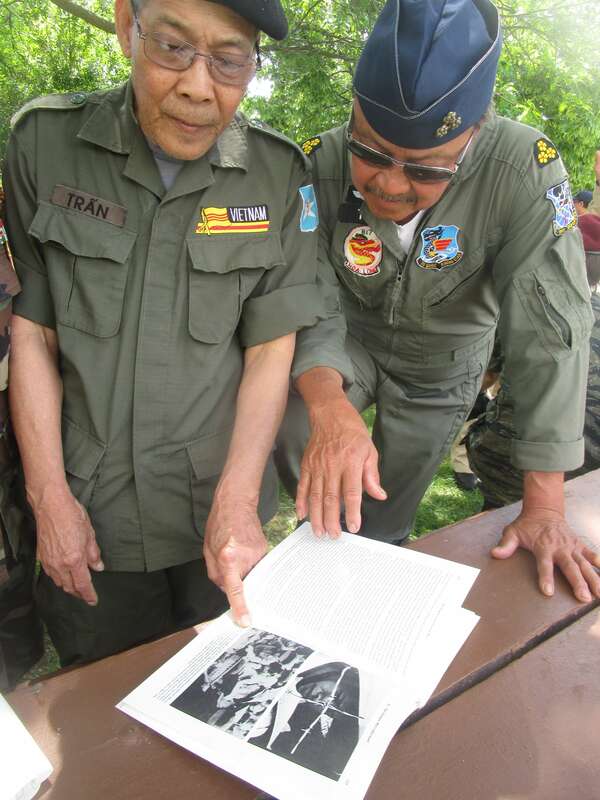 Brigadier General Le van Hung — who committed suicide on April 30th, 1975 — was Tran’s Field Commander. Tran and I talked for awhile about the Reeducation Camps he and many others were sent to after the war. First, Tran said there was no “Reeducation” whatsoever. That was simply the Orewellian name given to the camps where the men did hard labor under horrific conditions. There was never enough food; the barracks overcrowded and sanitary conditions dangerous. Surviving 8 years himself, Tran conservatively estimates that 2 in 10 of comrades perished. He says only the barest contact he was allowed to his family outside the prison walls kept him alive. By barest, Tran means seeing his family on a camp visit every other year for one or two hours. Sporadic mail service was permitted but highly censored. One of the worst parts for Tran was not knowing if he would ever be freed. 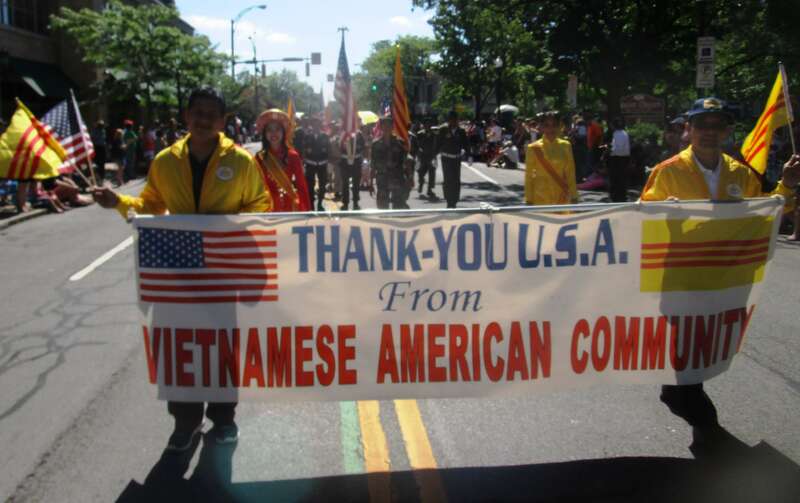 Finally, after the U.S. government made a deal with Vietnam, Tran was let go and then made his way the United States. If Tran is bitter, it did not show. He says the United States did not bear responsibility for him and the other members of The Army of the Republic of Viet Nam. Tran considers America did him a favor in making the deal, and is grateful. Tran even considers himself lucky as others were imprisoned for 11,12, 13 years, even as many as 21. As the picnic dispersed and Tran and I walked up the slope to the parking lot, Tran said he still cannot believe he survived the 8 years in the Reeducation Camp, and is now here in Highland Park. He thinks about it everyday and can only call it a miracle. As I thanked Tran for sharing his story and we separated, I thought of David Dornford and the power of stories. Now I know and now you know.